To share information about the DOTS program with your group, download our DOTS Graphic Report and Summary today! Would you, or someone you know, like to explore the natural world using innovative and exciting technologies? 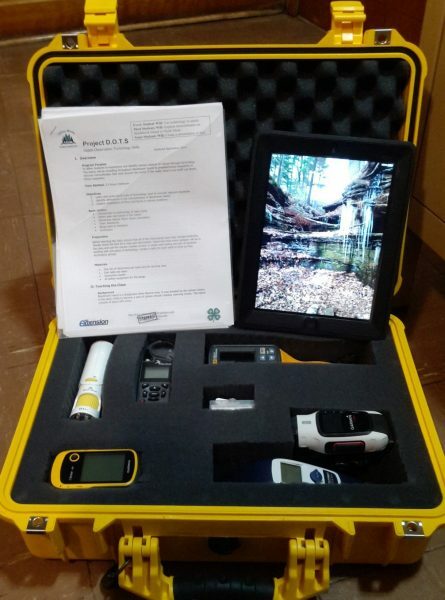 A mobile Digital Observation Technology Skills (DOTS) kit is designed to allow you to do just that! 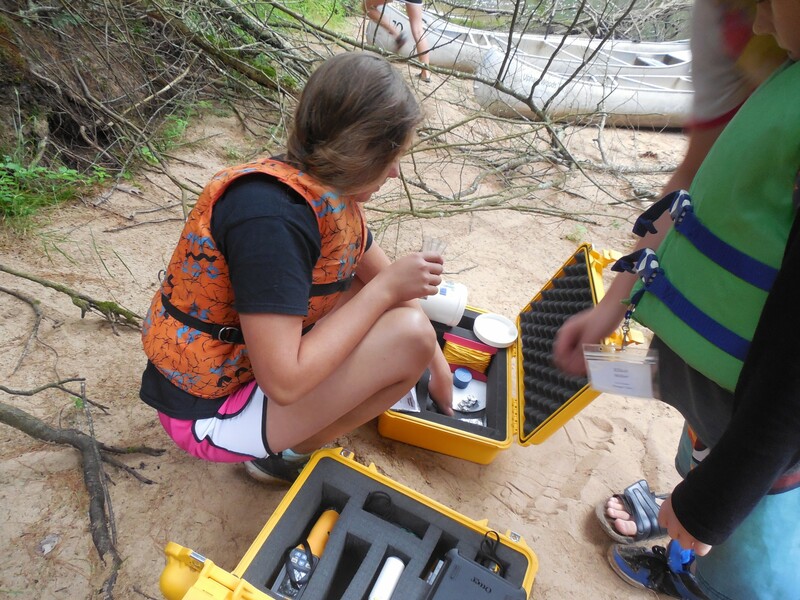 The Digital Observation Technology Skills (DOTS) program is an outdoor Science Technology Engineering and Mathematics (STEM) lesson that uses modern mobile technology tools to connect today’s students to the outdoors in new and innovative ways. This inquiry-based lesson navigates the basics of the scientific method and focuses on the importance of good scientific communication and sharing discoveries with others. Students work in groups to test simple hypotheses from the environmental and ecological differences across the local landscape using data and observations collected in the field. Participants use the technology tools found in the DOTS kits to make observations, take measurements, explore the micro and macro details of their environment, and learn how to embrace their inner scientists. They collect digital artifacts to test their hypotheses including both quantitative and qualitative data. In addition, ‘Media Specialists’ are responsible for collecting photo and video evidence of each groups ‘scientific story’ that can then be used to present the results of the study to share with others. The DOTS program lessons and tools are easily scalable to fit into a variety of indoor and outdoor laboratories. Creativity and diversity of student interests could make the DOTS technology kits the perfect tools for almost any STEM lesson plan. 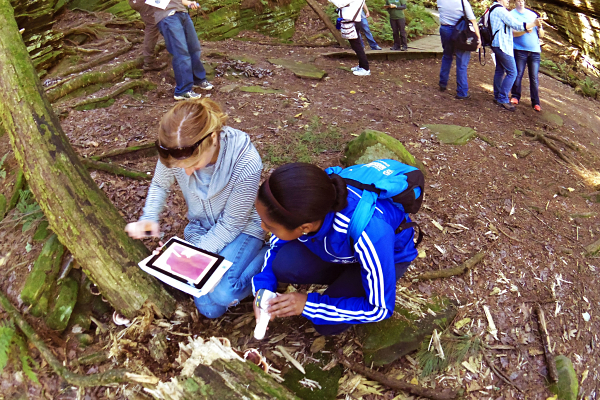 The DOTS kits provide unique, hands-on opportunities for students to explore details of their environment using modern technology tools that help to turn the invisible, visible. In 2017, 100% of educators surveyed agreed or strongly agreed that they “better understand how science, technology, [and] engineering can solve problems after using the DOTS tools,” and 100% of respondents indicated that they would like to use the DOTS kits again. 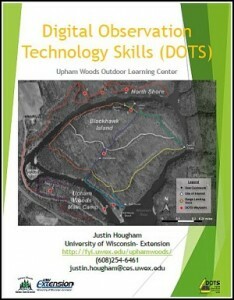 To be involved in upcoming DOTS technology professional development workshops, please visit the Upham Woods adult education page.